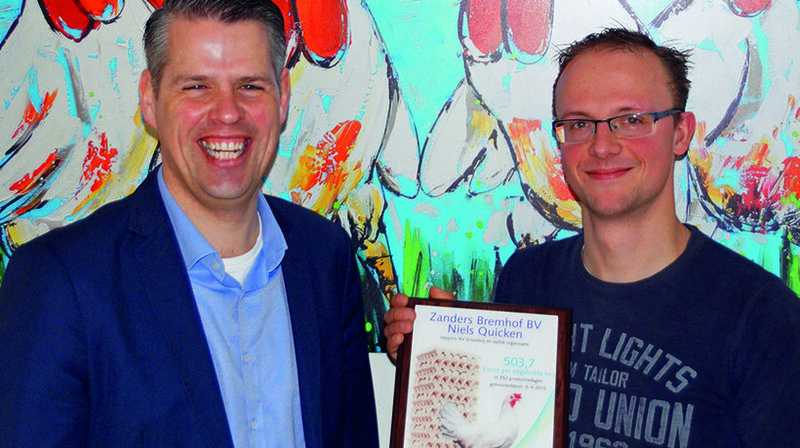 Niels Quicken, an egg producer in the Netherlands, recently collected 503.7 eggs, per hen housed, from his Dekalb White flock. A great achievement for which he was given a certificate by Jeroen Visscher, a geneticist at Hendrix Genetics. “Lots of attention to detail, every day”, according to Niels, is what you need to be able to collect more than 500 eggs. Niels is very happy with his decision to use Dekalb White since the bird provides lots of first-grade eggs with a good egg weight. The poultry farm has two aviary houses with a total of 70,000 hens of the same age. Niels is involved with the flock from the moment the rearing plan is made. He selects the rearing farm together with Alex Janssen, Sales Manager at Vepymo. “I want to work with a farmer who gives the chickens lots of attention. I usually go to check up on the flock about six times while it is being reared. I want to know everything, but I don't interfere with the rearing farm. It's a matter of trust and willingness to work together,” the young poultry farmer explains. Niels is an egg producer who sees the importance of being in the poultry house, observing his animals. Of course, he uses technology and data to monitor the process, but it is obvious that Niels loves chickens and that he enjoys the husbandry of raising his flock. It is often the little things that make the difference, and he believes careful observation means taking note of something that works now but could go wrong tomorrow. He does not use any egg counters, but counts the eggs himself. 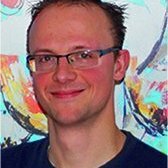 “I did some traineeships where it was not discovered for a couple of days, or even a week, that the egg counters failed to work properly. That's a disaster. I update the laying calendars every evening. That puts me in touch with the figures much more,” he says. The fact that Niels always compares his barn-house results to the cage standard is a clear indication that he sets the bar at challenging level. 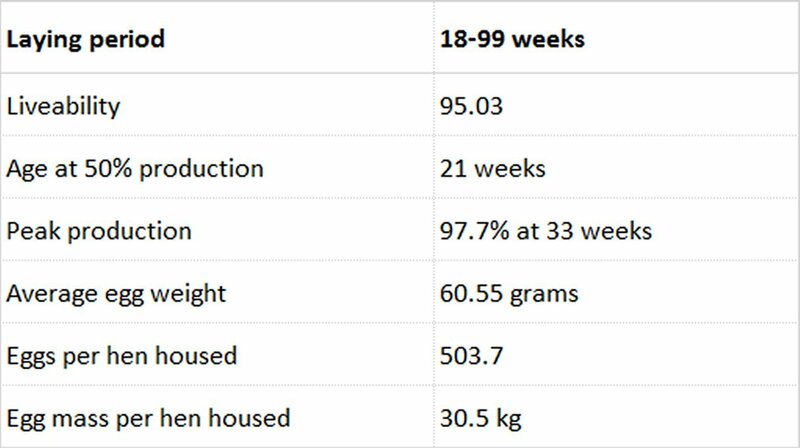 Since the eggs of this flock were sold on a “per piece-basis”, the goal was to bring the egg weight to the minimum requirement of 60-62 grams as quickly as possible and to keep the egg weight stable from that point onwards, or with an egg weight curve as flat as possible. The eggs were sold as table eggs until 99 weeks, which is a very long period, especially in a market with poor egg prices. The last eggs had an egg weight of 65 grams. The moderate egg weight has helped to keep shell quality up and it is also beneficial for good liveability. To ensure that livability remains strong, Niels turns as many aspects of the operation into routine procedures as possible, such as a regular insect control program. Additionally by making sure that the birds do not deplete their reserves during the first 3-4 months of production, he has found that the Dekalb birds maintain strong performance until the end of their cycle. Just make sure that everything is 100 percent in order and those 500 eggs will follow automatically.